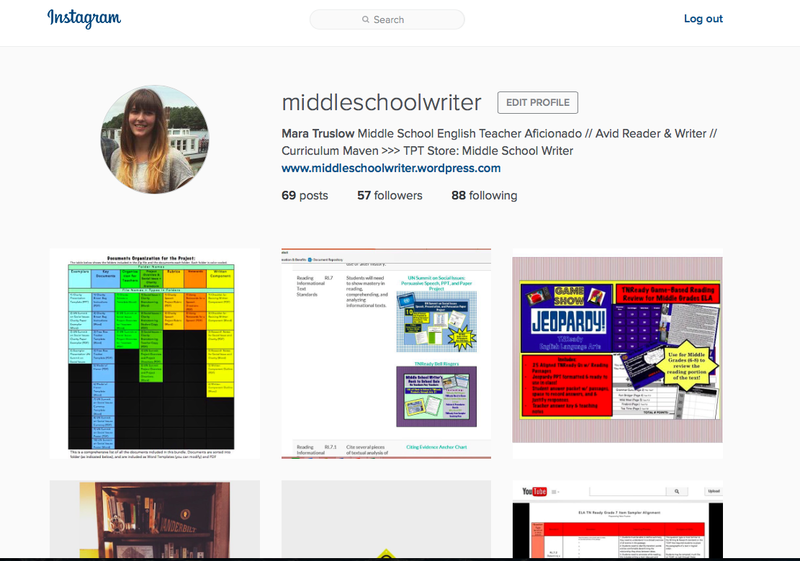 This blog isn’t the only place to get information from Middle School Writer. 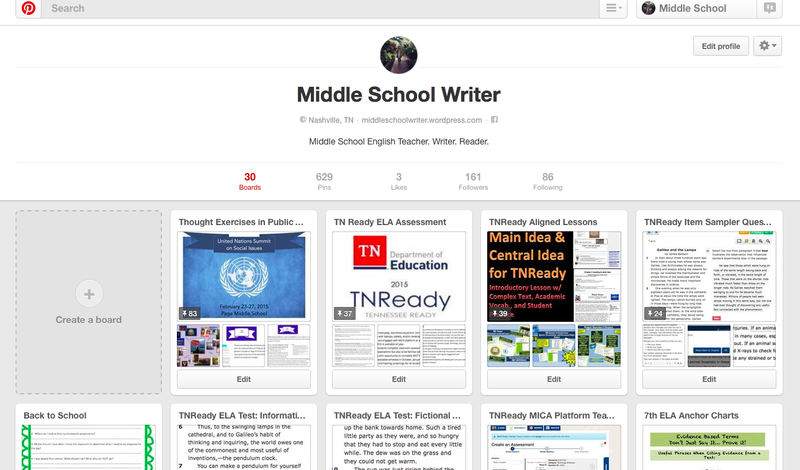 Check out these other sites with more specific ELA resources! 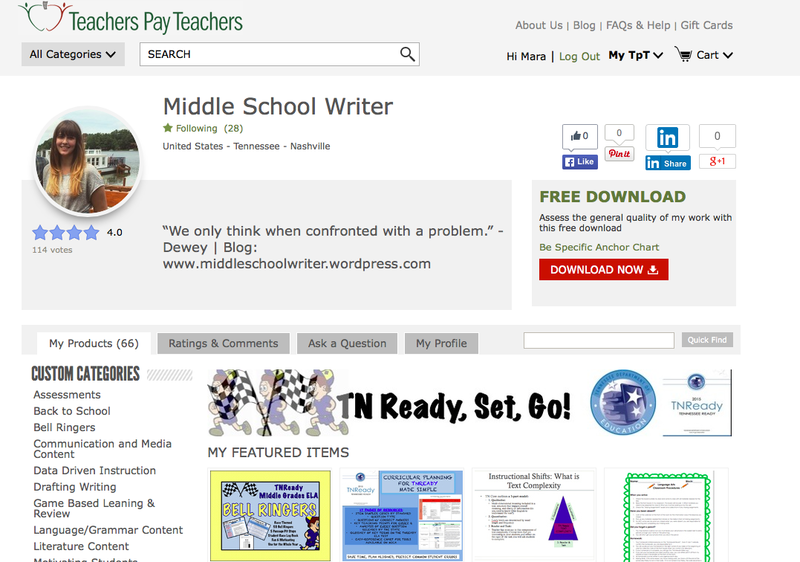 Lesson plans, anchor charts, unit plans, TNReady specific lesson plans, assessments, data trackers for middle school ELA with a focus on Tennessee specific curriculum. 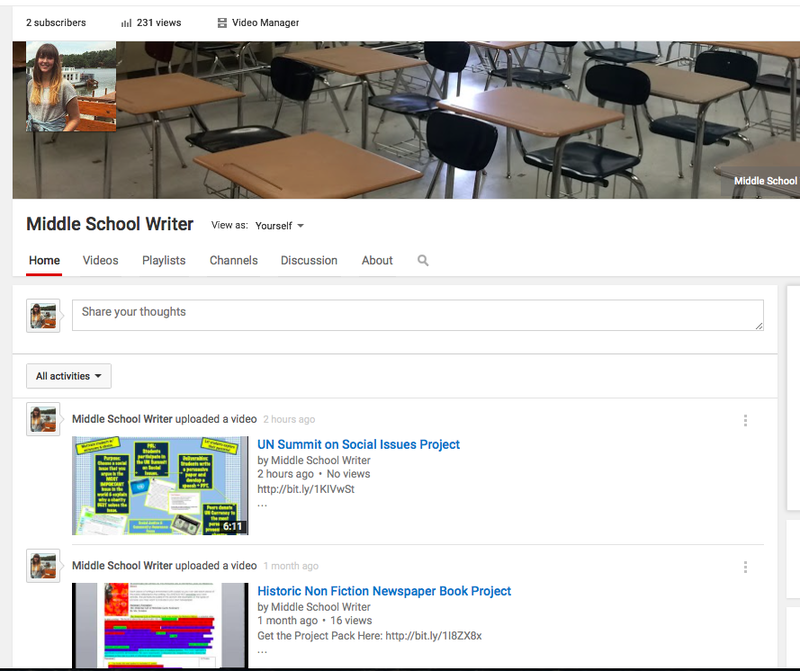 Videos describing lessons, video tutorials on designing curriculum, explanations of unit and lesson design strategies. Quick tips and strategies for ELA teachers, inspiring quotes, more about me, & updates on lessons/ units I’ve written. 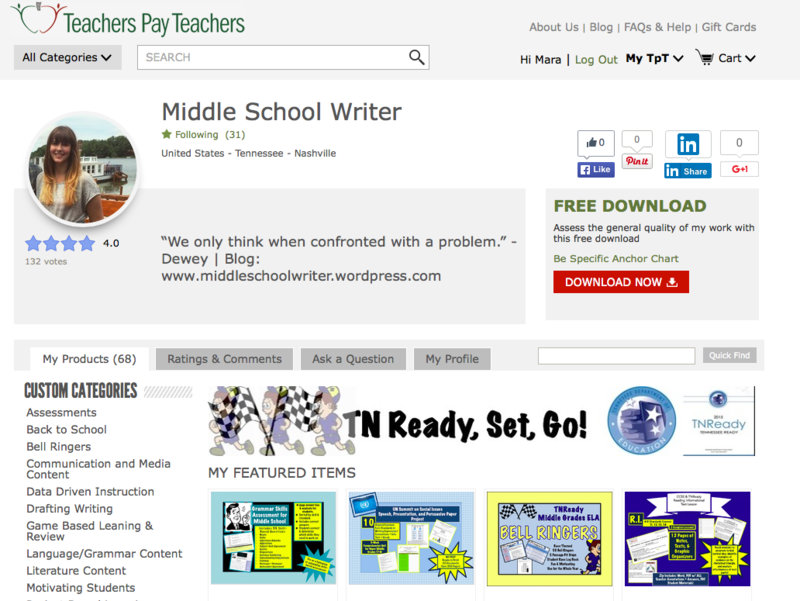 Boards specifically designed for TNReady and CCSS lessons and unit plans. 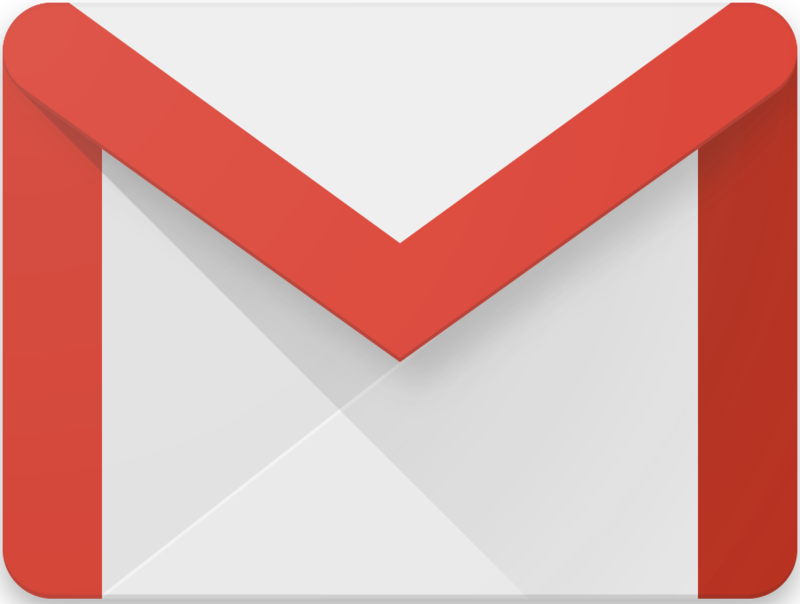 Information about MICA, resources released from TDOE, and special topic lessons. 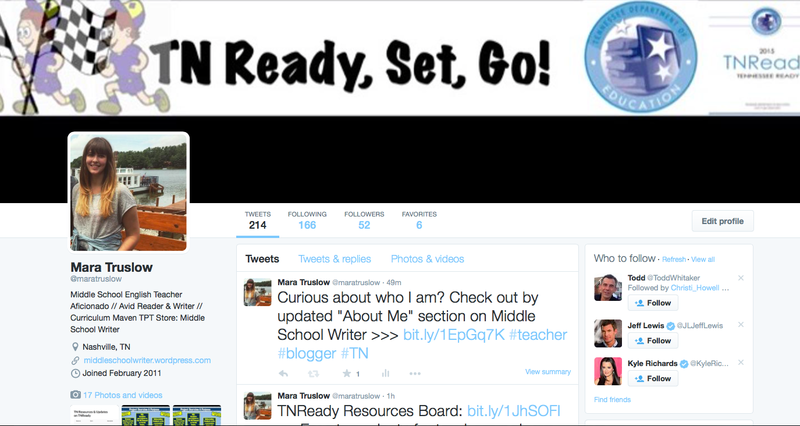 National & TN education news, reminders of why teachers matters, updates to the blog, Instagrams, and You Tube. 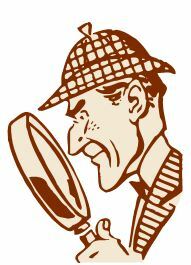 Reach out if you have specific questions that you need help with or if you have questions about my posts/ lessons.